Coupons valid until March 27, 2019. May redeem multiple coupons per person. Valid for ladies only. Excludes French Manicure. Open Monday to Saturday from 9 AM till 7 PM, Sunday from 9 AM till 1 PM. Reservation required on 03 127 028 or 04 533 576, quote Gosawa coupon. Coupons must be printed. No carry over. VAT included in price. Standard terms & conditions apply. Neat and colorful nails are what every lady needs to look her best! 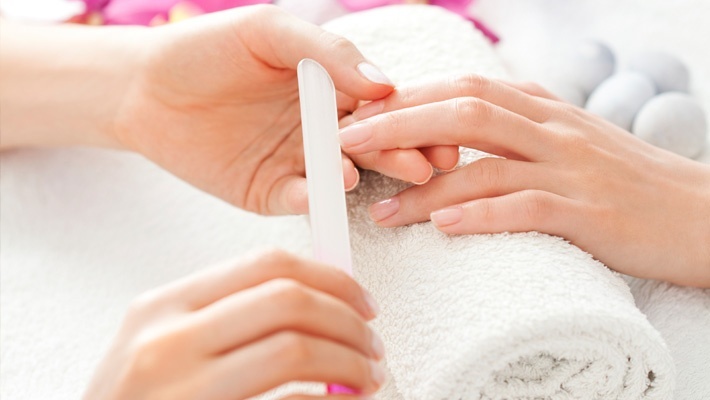 Benefit from 64% off a Manicure & Pedicure Session from Salon Toni Saad, only $8 instead of $22. Spoil yourself with tidy nails! Salon Tony Saad provides every lady with several beauty services from hair cuts to brushing, Bain d'huile, Keratin treatments, hair coloring, facials, manicures, pedicures and more! Professional aestheticians at the salon are always ready to provide you with the adequate advice about what’s best for your hair and face!